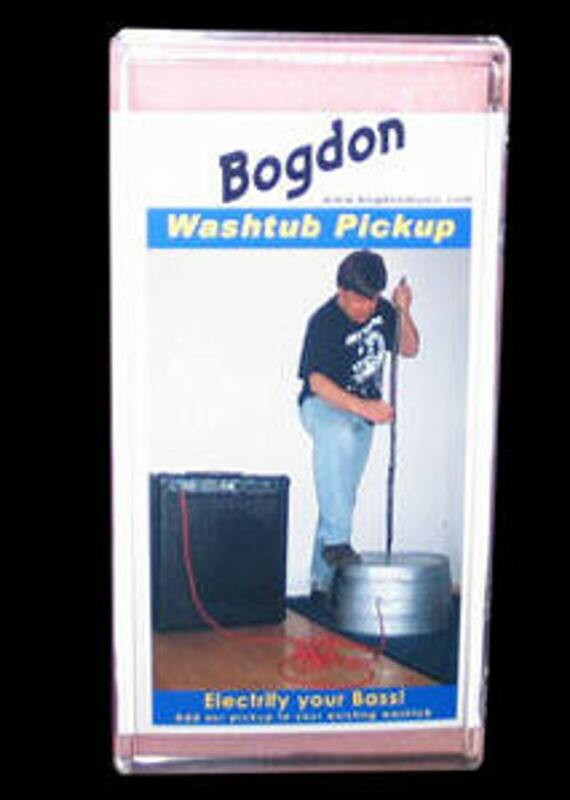 I am offering a "Bogdon washtub bass pickup" (NOT a washtub bass). This is a piezo pickup mounted on a red oak bracket that attaches permanently to a metal washtub. The purpose is to allow the washtub bassist to perform music without ever having to adjust and readjust a microphone. The tone is natural and deep. The manufacturer suggests that the user uses a separate amplifier instead of directly plugging into a PA. The amp setting should lower the treble to zero and the mids below 20% with the bass turned up to maximum. The piezo pickup is very lively and has a "throw" that appears to be louder at 10 feet away than it is right up close. The amp can be mic'd to mix into the PA and monitor mix (if necessary). I use a 10w Berringer amplifier mic'd thru a PA. 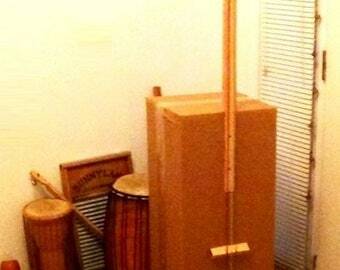 Installation requires the metal washtub to poke 3 holes in the side away from the stick. The pickup is grounded to the metal washtub and is very very quiet when waiting to play, the tone is without noise and distortion. Shipped on time. Great service and support. Fairly easy to assemble. Sounds great, fun to play.